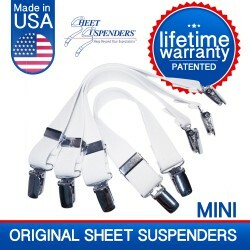 Elite Sheet Suspender® Minis hold corner tight and in place. 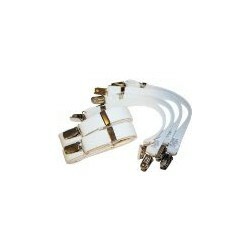 New and Improved nickel plated clips offering the strongest grip ever ! 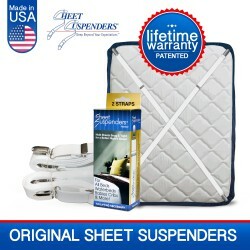 With Sheet Suspenders you will have a more restful sleep than ever before. 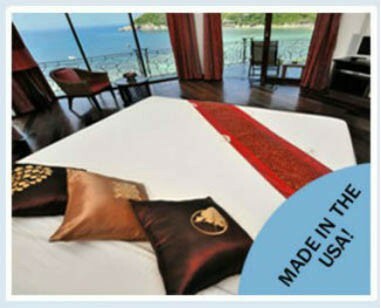 Sheets stay snug in place even if you toss and turn. 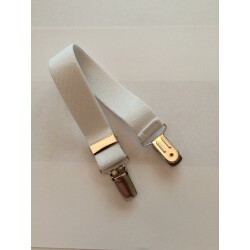 This is the original Sheet Suspenders company.